Saracen embroideries, stitched tapestry, digital tapestry, tufted rug, wool and felt creation, textile designs etc. 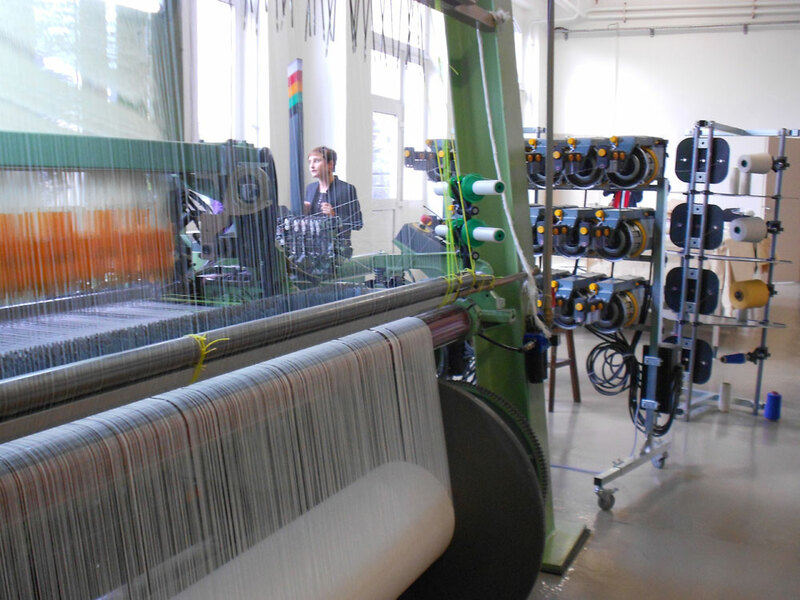 To the “tapisserie d’Aubusson” professional community is added other textile actors, who, with the existence of specialized galleries and exhibition spaces, come to strengthen the field of the textile and weaved art in Aubusson. The presence of a professional community directly linked to tapestry activities in Aubusson-Felletin motivates the implementation of other actors from luxury industries, artistic professions, creation and textile printing. The textile art/weaved art dimension in Aubusson also includes mechanical tapestry as well, claimed by many architects and decorators, but also needlework tapestries (or stitched tapestry, on canvas), Saracen embroidery (embroidery developed in Aubusson in the late 19th Century), textile designers studios, workshop producing tufted rugs, wool and felt creations workshops, and exhibitions spaces specialized in textile art/weaved art. Discover all the actors of the textile creation network around Aubusson-Felletin in the professionals directory.